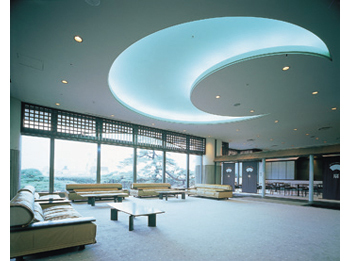 Dogokan is the modern style Japanese Ryokan and designed by the famous architect, Kisho Kurokawa. 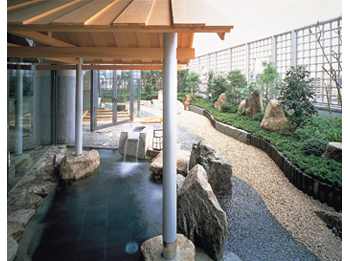 The public spaces are full of greenery creating a relaxing environment. On the west side, guests can enjoy the view of Matsuyama Castle and the night view of Matsuyama City. 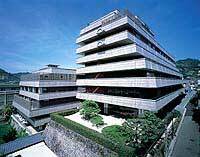 Guests can also enjoy the dishes prepared with the fresh catch of the Seto Inland Sea. 5 minutes walk from Iyo Railway Dogo Onsen Station. 15 minutes by taxi from JR Matsuyama Station.